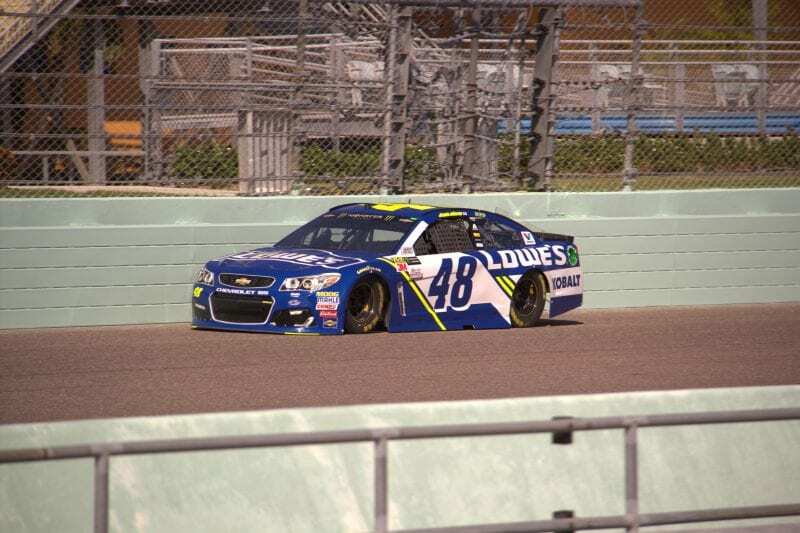 It’s Friday Night Lights at Homestead-Miami Speedway. Only it’s not football, the NASCAR Championship Weekend is officially underway. Stop with the hype, it’s time to settle things on the track. 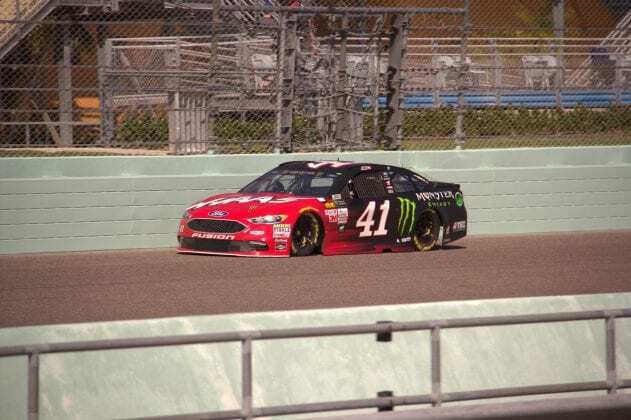 First up tonight is Monster Energy NASCAR Cup Series qualifying for Sunday’s Ford EcoBoost 400. Practice earlier today revealed what we already know. The Cup Finalists are fast. 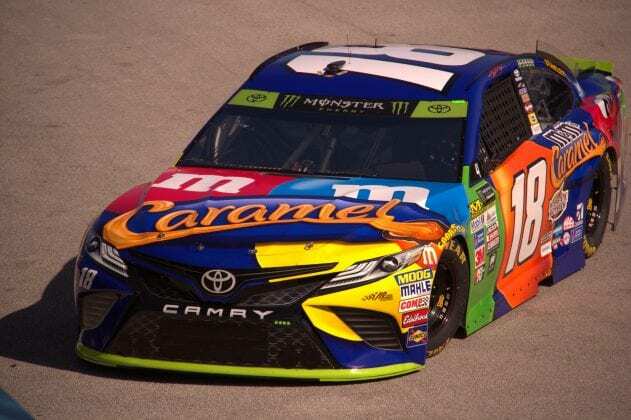 Kyle Busch(18) posted the top speed at 172.695. Second, Martin Truex Jr.(78) at 172.529. Who was third quickest? Kevin Harvick(4) ran 171.865. In what may be an indication of his fortunes for the weekend, Brad Keselowski(2) could only manage the 21st fastest speed at 168.919. That is 6/10ths of a second slower than Busch. 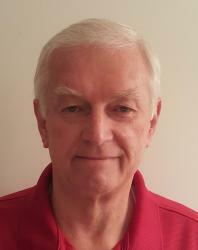 At that rate, the Team Penske driver will go a lap down after just 50 circuits of the speedway. Interesting numbers from the practice session. 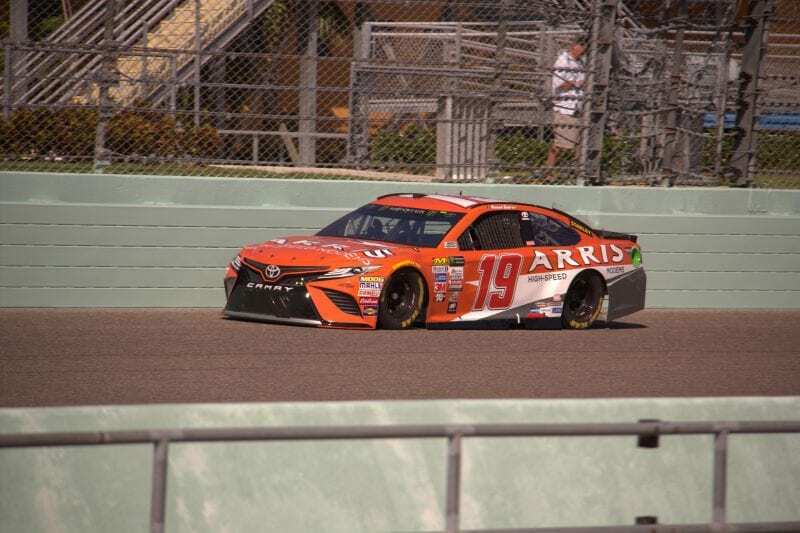 Sunoco Rookie of the Year contender Daniel Suarez(19) ran 10th fastest. Dale Jr.(88) 14th, and Ryan Blaney(21) 20th. Joey Logano 26th and Danica Patrick 27th. 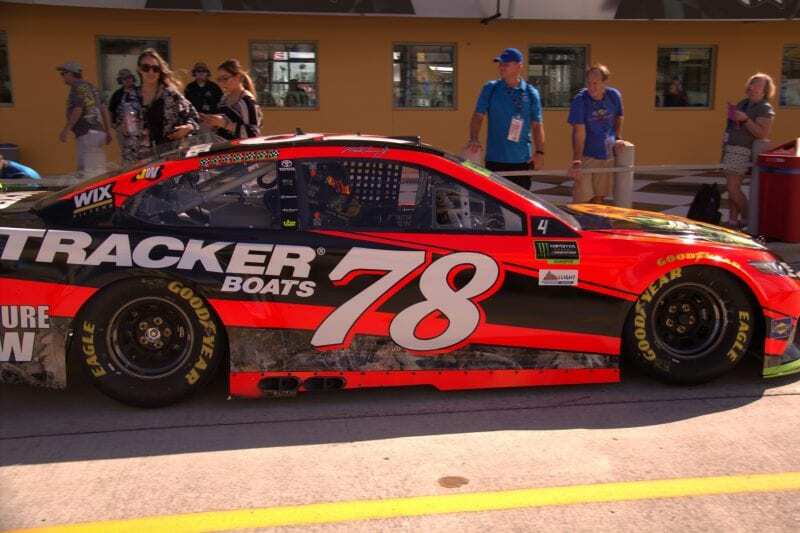 Michael McDowell ran in the top 10 with the 8th fastest speed. Jumble the order but the top of the speed chart looks very similar. 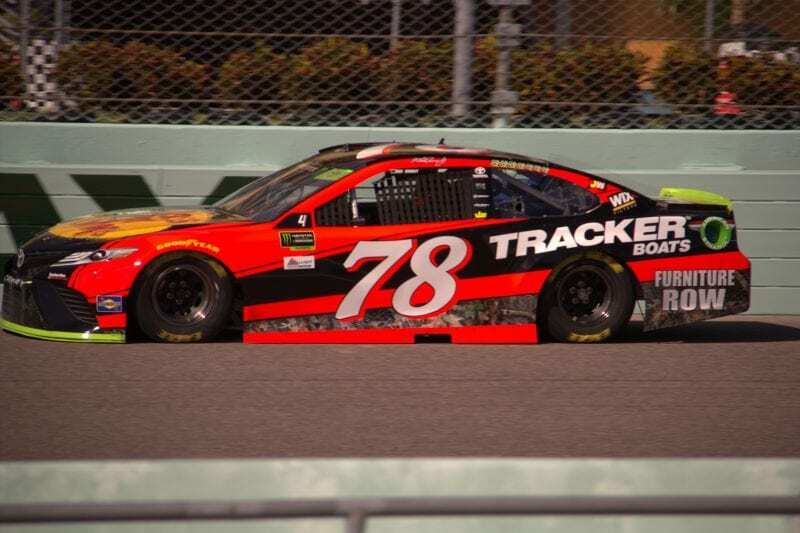 Truex first, Kyle Busch second, slot Denny Hamlin(11) into third, and Kevin Harvick fourth. 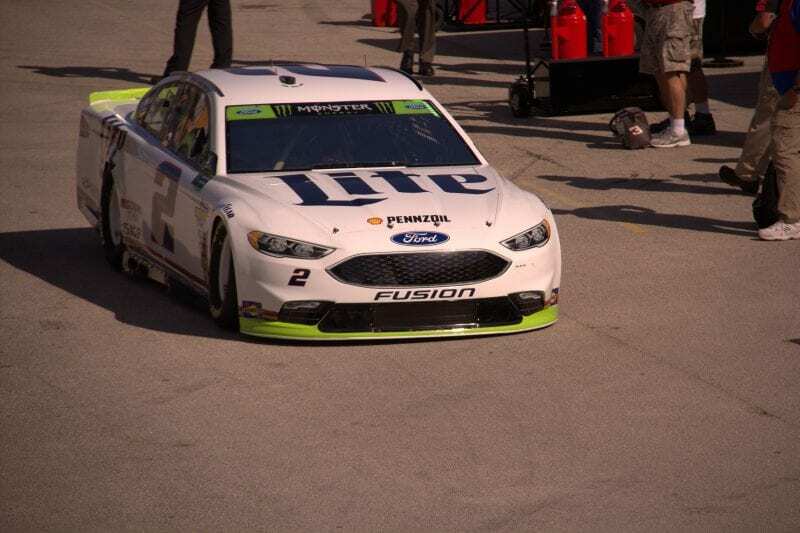 Keselowski’s crew found some speed and Brad sat ninth after round. Danica Patrick failed to advance in her last round by round qualifying session. Dale Jr. made it to Round 2. Almost the same result in Round 2, Truex, Busch, and Hamlin. 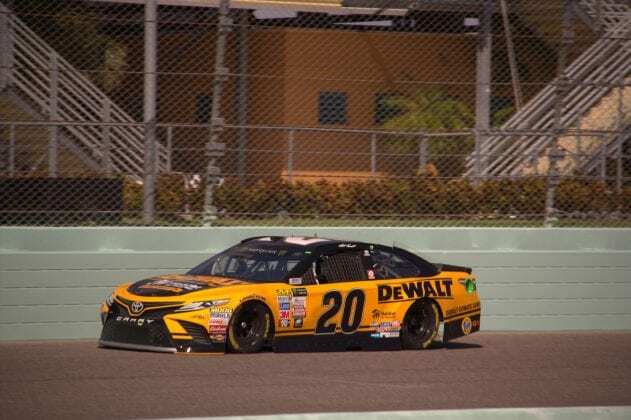 Matt Kenseth slipped into fourth with Harvick fifth. 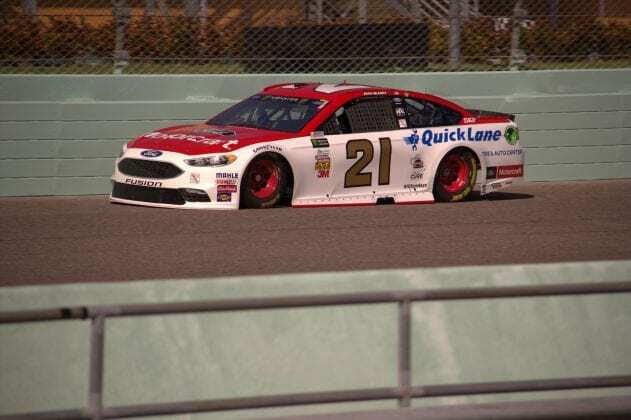 Other’s running for the pole Ricky Stenhouse Jr.(17), Kyle Larson(42), Kurt Busch(41), Ryan Blaney(21), Suarez, Trevor Bayne(6) and Keselowski just squeaking into the 12th spot. Brad drove it to the limit, almost clipping the wall out of turn four. Still smarting from last weeks failure to advance Denny Hamlin drove to the front in the Final Round of qualifying. 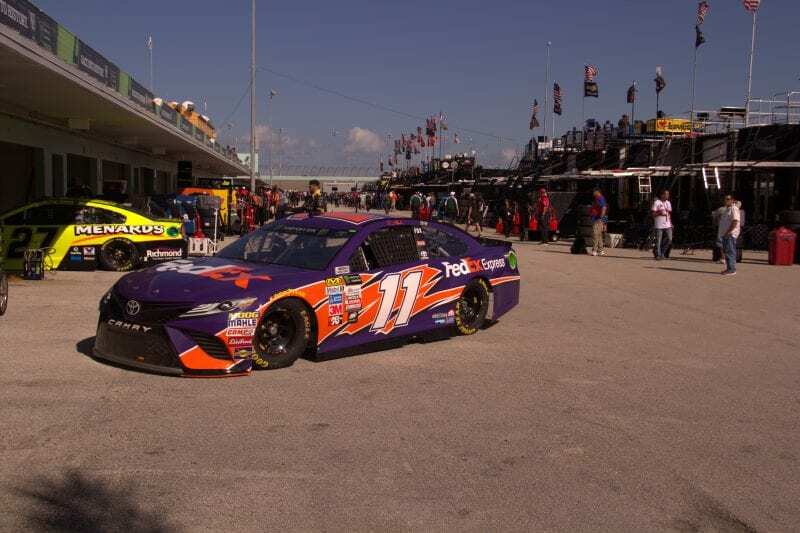 With a speed of 173.980, Hamlin sits next to Truex and ahead of Busch on the starting grid. 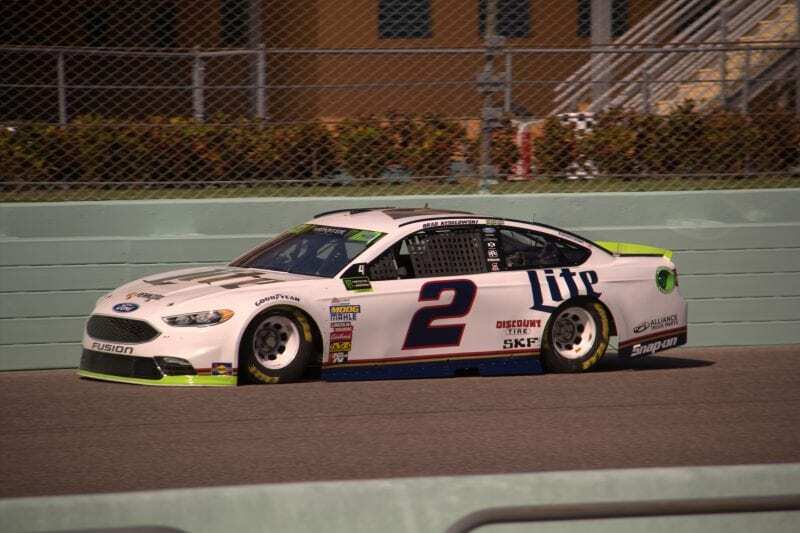 Keselowski just kept getting better and starts from the fifth spot. 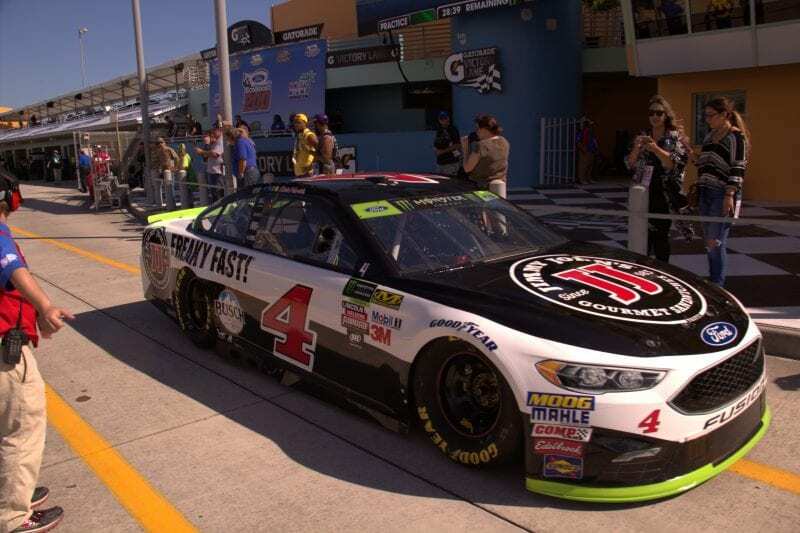 Harvick takes the green in ninth.